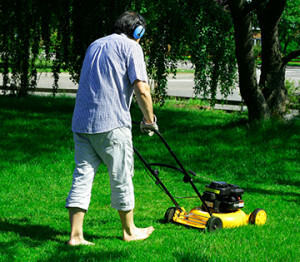 Make sure to pay attention to some of the hazards of summer such as lawnmower accidents, poison ivy and fireworks. Summer is the time to kick off your shoes and bask in the warm sun. At Johns Creek Family Medicine, we want you to have the best summer ever with your health as a top priority. Serving the north Atlanta area, we have staff available to you if there are any summer hazards that you encounter. From an itchy rash to a lawnmower mishap, our Johns Creek facility is prepared to treat most minor injuries for your entire family. Avoid sunburns by wearing sunscreen or lightweight clothing. Bring a hat for midday excursions. If you’re sun sensitive, remain indoors during the hottest part of the afternoon. The north Fulton area can get extremely warm in the summer. If you plan on lighting some fireworks this July 4th, only use legal brands and keep a bucket of water nearby. Even a connected garden hose is helpful to put out any accidental fires. All children should remain far from the ignition area. Always follow the instructions on your lawnmower. Sharp blades can cut deeply, causing extensive bodily damage. Our north Atlanta area facility can treat some cuts, but any major injuries must be brought to a hospital’s attention. From splinters to nails, your bare feet have many hazards to avoid. If you find yourself in pain, stop putting weight on the food and contact us. We can help you relieve the pain and encourage safe healing. Exposed wounds may become infected if neglected. Keep all your food in a cooler during the summer. Mayonnaise and dairy products go bad quickly in the heat. A cooler keeps them at a safe temperature. Avoid eating any foods left out on a picnic bench. Food poisoning is a real threat. Wear insect repellent and stay away from tall brush areas. Ticks, mosquitoes and other insects are ready to bite your skin as the days grow warmer. Avoid contact with any unknown plants. Poison ivy will give you an extremely irritating rash for days. If you have any questions about your summer health, contact Johns Creek Family Medicine out of the north Fulton area. Our caring staff has the skills and bedside manner to treat your ailments quickly to get you back out into the sun. Enjoy the Johns Creek area this summer, but keep us in mind if you have any health concerns.